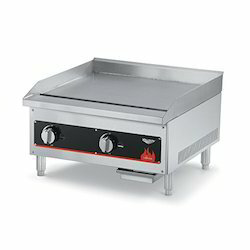 Cool Star is one of the trusted names in the industry that offers Hot Plate with Griller that is manufactured in accordance with the preset industry standards. These hot plates are widely demanded in restaurants, hotels for their robust construction, ease of maintenance and ease of use. These dosa tavas are massively popular for their corrosion resistance and low power consumption. 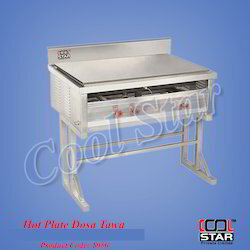 Cool Star is one of the trusted names in the industry that offers Hot Plate (Dosa Tawa) that is manufactured in accordance with the preset industry standards. These hot plates are widely demanded in restaurants, hotels for their robust contruction, ease of maintenance and ease of use. These dosa tawa's are massively popular for their corrosion resistance and low power consumption. 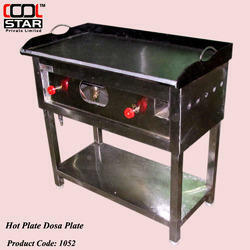 We are instrumental in offering optimum quality Hot Plate Dosa Tawa to our valuable customers. The offered kitchen equipment is precisely designed from optimum quality stainless steel, which is obtained from reliable vendors. Known for its optimum performance and minimum maintenance, the offered kitchen equipment is widely appreciated. Looking for Hot Plate ?